Does your child love crafting and making new things? This kit provides everything you will need to make your very own, monochrome felt ball and star garland. Make a 150cm garland with this step by step DIY garland making kit, then use the garland to decorate your party or home. 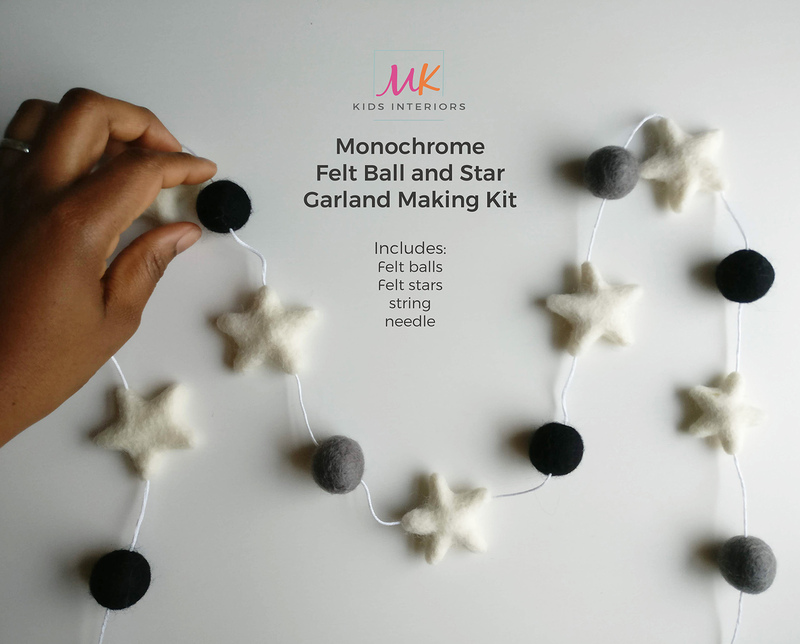 Make a monochrome star and felt ball garland, then use it to decorate your walls, windows, fireplace or bookshelf in your home. 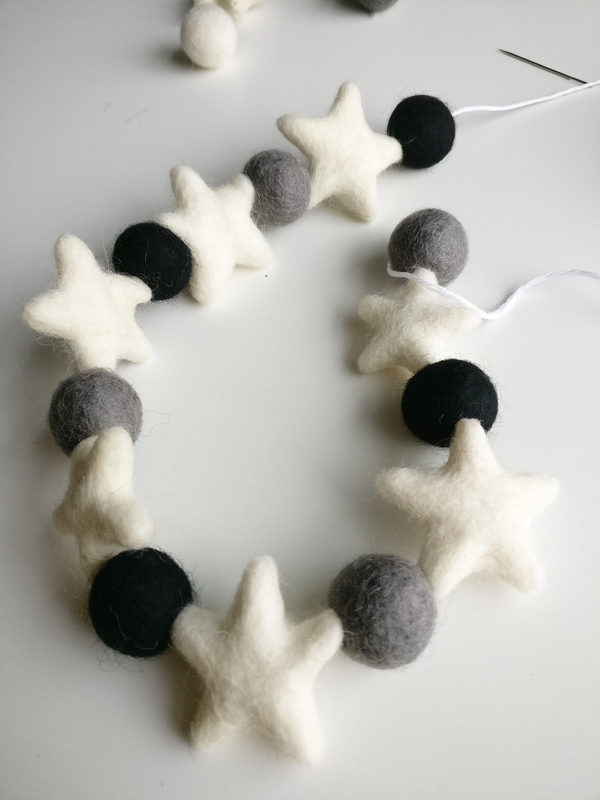 This pom-pom garland is made from approximately 11 felt balls and 10 felt stars which were handmade in Nepal. Each ball is approximately 2.5cm in diameter, and each felt star is approximately 3cm. Sizes and colours will vary because the balls and stars are individually handmade. It’s the perfect crafting activity for a craft party or a rainy day. Suitable for children ages 5+. Children must be supervised when making their garlands, as the kit does contain a sharp needle. 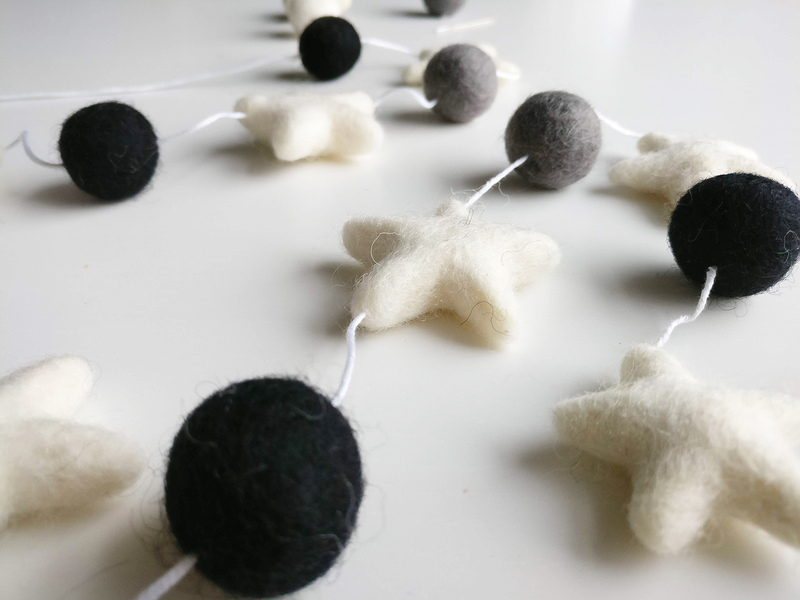 Read our blog to see how customers have styled their homes with our felt ball garlands.